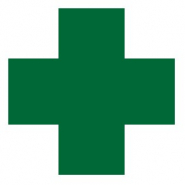 Doctor’s Orders is one of the finest marijuana dispensaries in Sacramento. We have the area’s largest selection of cannabis products including concentrates, edibles and medical cannabis. Our large variety of products are intended to meet the budget needs of all customers. Our menu is available online and updated daily for your convenience. Doctor’s Orders’ convenient location is easily accessible, just north of Interstate 80, off of the Raley Blvd. exit. Our professional office provides industry-leading privacy, cleanliness and security for each and every one of our customers. Our knowledgeable and friendly staff are happy to help you with any questions or concerns you may have regarding marijuana. Come in and visit Doctor’s Orders today and see why we continue to be the best cannabis club in Sacramento.